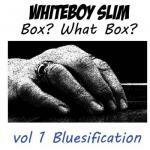 Sign up for Broadjam today to follow Whiteboy Slim, and be notified when they upload new stuff or update their news! 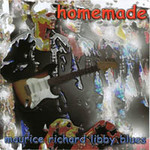 A tribute to the many forms of the blues, from country blues to jump blues to contemporary and funk. One CD of orthodox Blues and Funk--or, at least, as orthodox as Whiteboy Slim can get, and one CD of explorations of Ska. Reggae, Americana, and electronic sounds. Love as a story of mystery and suspense. Based on the riff from the old TV series "Peter Gunn", we were trying to capture the feeling of foreboding and paranoia of an old spy movie. The title came from a coversation on a Blues chart room years ago. The way I strut my stuff. but girl that's not enough. You talk my breath away. I'm not a man by nature. Your trust has been abused. You feel you're being used. I have no master plan. La vie est un enigme. Old school ballad about love. I wanted to write an old-school jazz ballad about love, the French kyrics just kind of happened. Is to be there where you are. c'est tout ce que je rêve.